While looking through my Pinterest feed today, I realized today is National Pie Day! Lame baker moment not knowing such a momentous day. So I decided I would pay tribute as soon as I got home from work… well, as soon as I moseyed home from work, I should say, since 5pm is when everyone in Orange County is trying to get home as well. Instead of spending tons of time making an actual pie, I opted to take a more rustic route and make a galette, a cousin of the glorious pie and known as a free-form rustic tart. Truth be told… I've never made a single galette in my [baker] life. I love exploring new baking territory! I knew I wanted to make a pear galette since I have plenty of pears and no apples at home… and honey sounded like a yummy companion for the pears. So I glanced at a recipe for slight reference, but then made the bold decision to experiment and make my own recipe… having said that, I will most likely revisit this to edit and perfect… but I'm just so excited it turned out decently for my first attempt! I'm actually writing this while my family sits near by gushing about how yummy it is… so that's a great bonus! The only thing we all agreed it is missing is either vanilla ice cream or double cream (we've all lived/visited England at some point, and for these types of dessert, you usually pour double or single cream which makes it decadent and scrumptious)… it's the finishing touches that sends the heavenly flavors soaring. 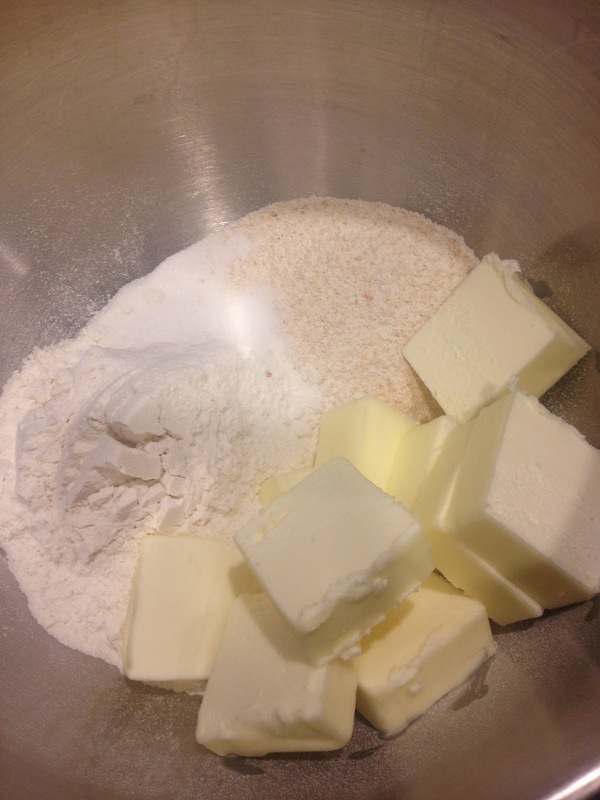 Put flour, sugar, salt, & butter in mixing bowl fitted with paddle attachment. Add one egg and mix until dough pulls from the sides. 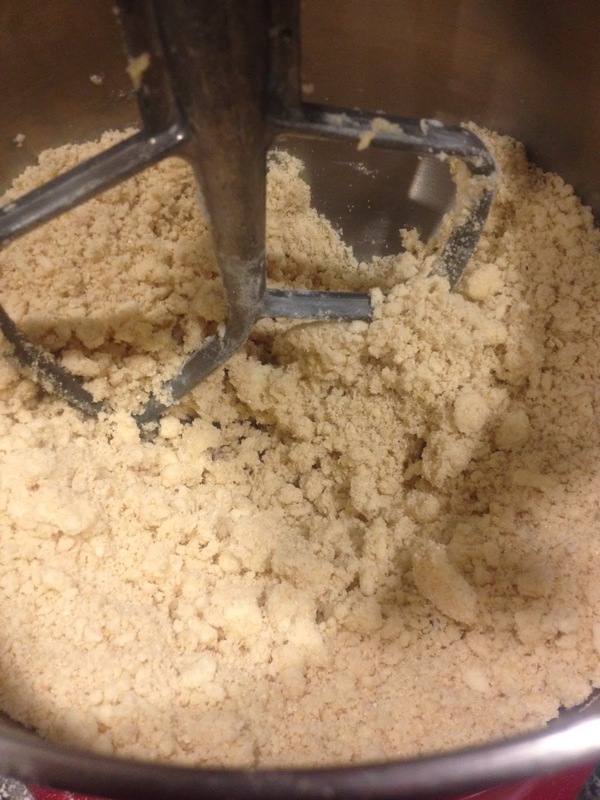 Dump onto floured surface and knead no more than 5 times. 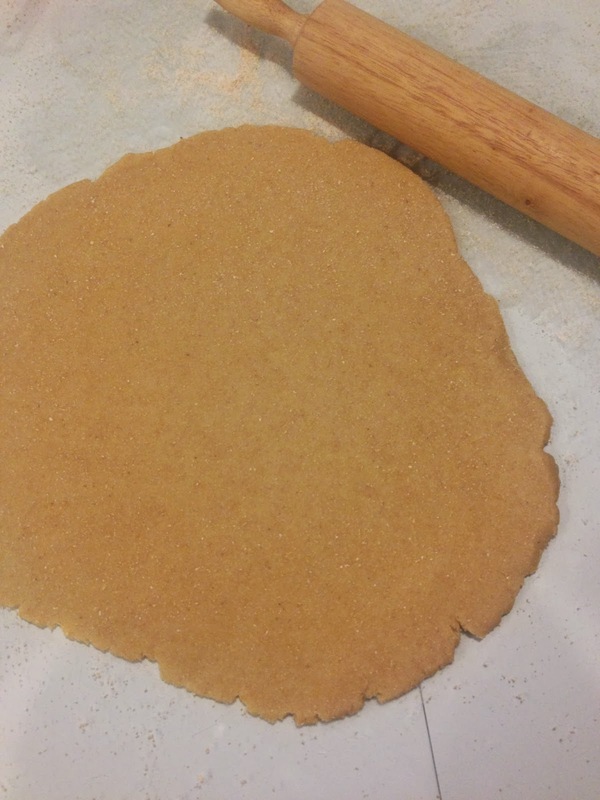 Shape into a round disk, wrap with cling film, and place in fridge. While the dough rests/chills, slice pears and place in a bowl, add sugar to taste (I did roughly 2 tablespoons), drizzle with honey, a splash of lemon juice and about 1 teaspoon of cornstarch. After about 30 mins in the fridge, pull the dough out and place on a floured surface. I kept the cling film on in the beginning while rolling out my dough. 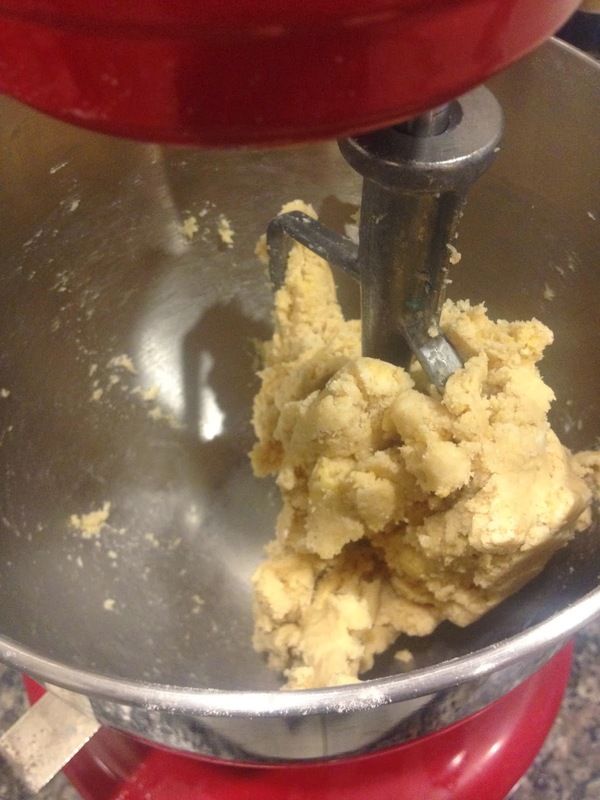 This is where I'm an unconventional, but still trained, pastry chef…. 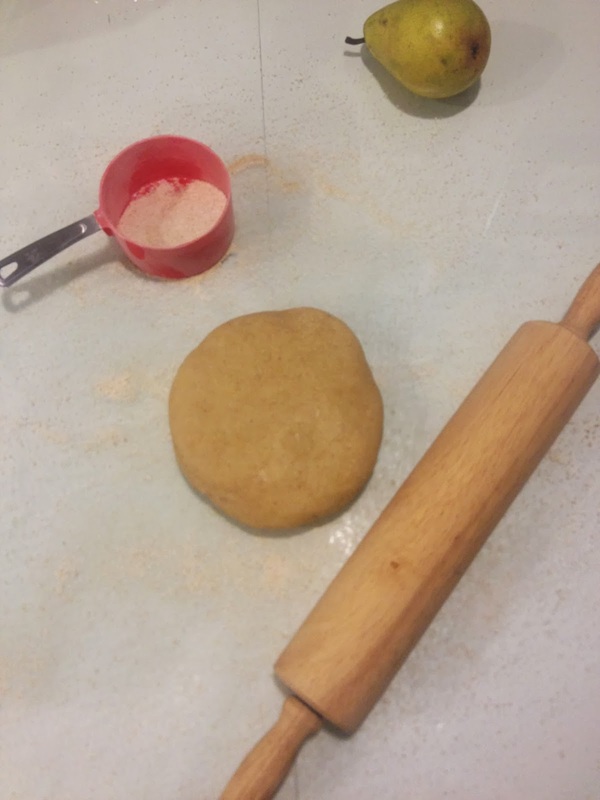 I don't know how thick the dough ended up being… one of my curses, or blessings I guess, is I don't usually measure my doughs, or follow recipes. I'm slightly a free bird when I bake. Anywho, once it's rolled out, gently roll the dough onto the rolling pin and transfer to your baking sheet (or baking stone in my case) - slight tip, have the sheet right next to you for an easy transfer. 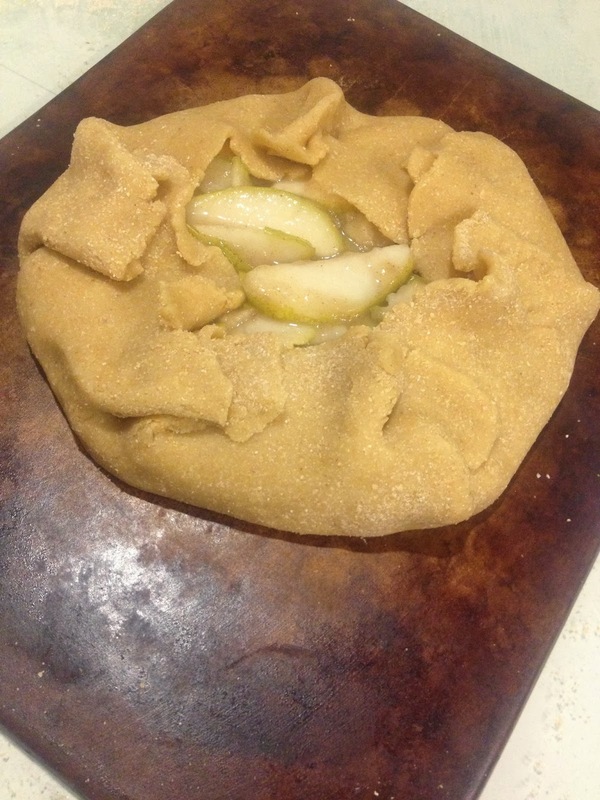 Scoop pear mixture onto the dough leaving about 2 inch (I think…) edge for folding up. For the folding up part… ummm… just fold the edges up. I overlapped a bit to give it a rustic, professional, straight from Pinterest look… only I'm lacking the awesome daylight, dslr, and rustic table setting… but I digress. Being a little crazy in this moment… I went to town with the butter. Basically ruining whatever idea I had of making this slightly healthier, but that's okay in my book. 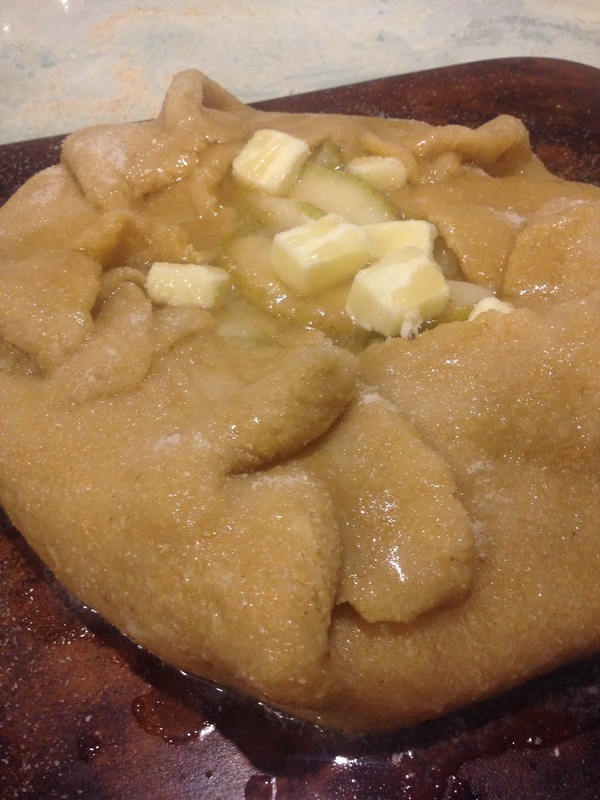 I placed a few small chunks of butter over the pears, then brushed - or possibly drowned - the crust with melted butter, drizzled honey and sprinkled sugar over the whole galette. Because of the butter overload, I had to add foil underneath the rack. We enjoyed this lovely while still warm, and just mixed it all up on the plate… and it was scrumptious, but like I said previously, vanilla ice cream would be so heavenly. Happy National Pie Day all you lovelies! I hope you all enjoyed some form of scrumptious pie-ness…. And feel free to leave a comment about pies, galettes, or just anything exciting… I'd love to hear from you lovelies that read my blogs! Have a wonderful night (or day, depending where you are in the world)! Mix the pears with all ingredients and let sit for about 5-8 minutes, so cornstarch can thicken it a bit. Place pears on dough first, then drizzle the pear juice mixture over pears. Bake, top with vanilla ice cream & enjoy!